CHICAGO -- The man who robbed a Guaranty Bank branch Monday afternoon in the South Side West Englewood neighborhood is also suspected of robbing three other banks in the Chicago area over the last two weeks, the FBI said. At 3:17 p.m., the man walked into the bank at 7030 S. Ashland Ave. and announced a robbery, according to Chicago police and the FBI. He ran away with an undisclosed amount of money. The robber is described as a bald, 6-foot-1-to 6-foot-2 black man, in his early-to-mid 30s, with a medium build, the FBI said. He is also suspected of robbing a Citibank branch at 2801 W. Devon Ave. at 12:15 p.m. March 12, the FBI said. He was wearing a gray shirt and blue jeans at the time. 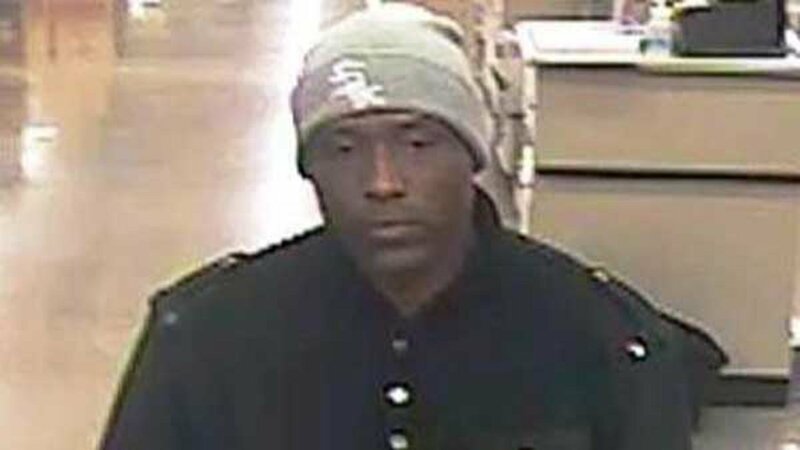 At 6:36 p.m. March 10, he robbed another Guaranty Bank branch at 4620 S. Damen Ave., the FBI said. During that robbery, he was wearing a blue knit hat with a black stripe and a "Ford" logo, a gray jacket and a black and gray striped shirt. The robber's first heist was at 3:14 p.m. March 8 at a West Suburban Bank branch at 1380 Army Trail Rd. in Carol Stream, the FBI said. He was wearing a blue long-sleeved shirt, sunglasses and jeans. Although the suspect threatened a weapon during the Carol Stream West Englewood robberies, he did not show one during any of the incidents and no one has been injured, authorities said. Anyone with information about the robberies or the suspect is asked to contact the FBI's Chicago office at (312) 421-6700.